As the Grand National weekend draws near, I expected to be drawing analogies between national hunt racing and IT managed services along the lines of planning, preparation and making sure your team is ready to overcome the hurdles and arrive successfully at the finishing post. However we now find that we are bracing ourselves in anticipation of a new cyber threat Badlock. We are in the unusual position of being aware both of a vulnerability and of the fix becoming available on the same day – Tuesday 12th April. Badlock was discovered by Stefan Metzmacher of the international Samba Core Team who works at SerNet. There is a dedicated website with information about the threat and the solution. All Windows computers are expected to be impacted. Fortunately Microsoft have been aware of this vulnerability, and have been developing the patch required to protect computers from Badlock. The patches will be made available at the same time as the expected release of Badlock. It is essential that you apply the 12/4/16 patches as soon as possible to avoid allowing hackers to infiltrate your systems. Our service plan customers can relax safe in the knowledge that our monitoring system will ensure that the stable door is safely closed before the Badlock horse gets the chance to bolt. 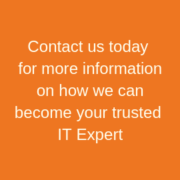 If you’re concerned that your computer has been affected, do get in touch and we will give your system a once-over. If you are interested in the technical facts behind this scare, I recommend that you read the excellent blog post from Continuum that you can read here. Contact your Local Computer Troubleshooter here for more information.